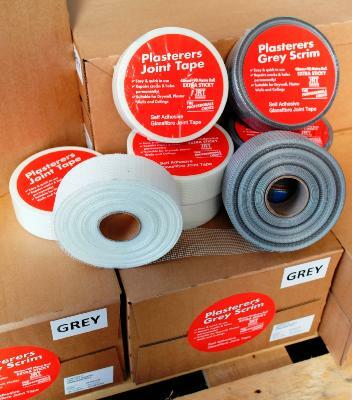 Also known as scrim tape or fibatape it should be used whenever two pieces of plasterboard have been joined. The tape is applied and then the area should be plastered over using skimming plaster. If tape is not used on the joints there is a high possibility that the joints will crack in the future. Internal corners also need taping to prevent cracking. As soon as the tape has been applied the joints can be plastered over. Tape should only be used on joints and internal corners, for external corners angle beading should be used.